iOS 7 hits a high download mark, but is it giving users motion sickness? Apple's iOS 7 has been prowling in the wild for a bit now, and in that time has made it onto quite a lot of iOS devices. We previously reported on the high adoption rate of iOS 7 on launch day, but one week later, ad network Chitika has some more data to share. The site states iOS 7 has been downloaded onto 51.8% of all North American Apple devices as of Sept. 25. 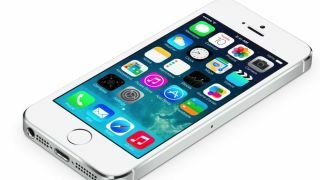 The site tracked the number of iOS 7 "adoption rates" and compared the data with last year's iOS 6 downloads over a period of seven days from launch. The older OS, Chitika found, only made it to 47% of Apple devices. Global numbers were not included, but on Sept. 23, Apple reported iOS 7 had been downloaded a whopping 200 million times. Though iOS 7 has been widely downloaded, it has seen its fair share of issues from buggy lock screens to hacks. Now it seems to be causing quite a stir on an Apple forum. A surprisingly large amount of users have asked for help alleviating motion sickness caused by the parallax effect (the movement of the background image and icons to match the movement of the device) and animations of iOS 7. For owners of the iPhone 4S and iPhone 5, "Reduce motion" can be enabled, but according to one commenter, for those using anything below, it appears you're out of luck and can't get rid of the animations. Thinking about upgrading your phone? Check out our reviews of the iPhone 5S or iPhone 5C.